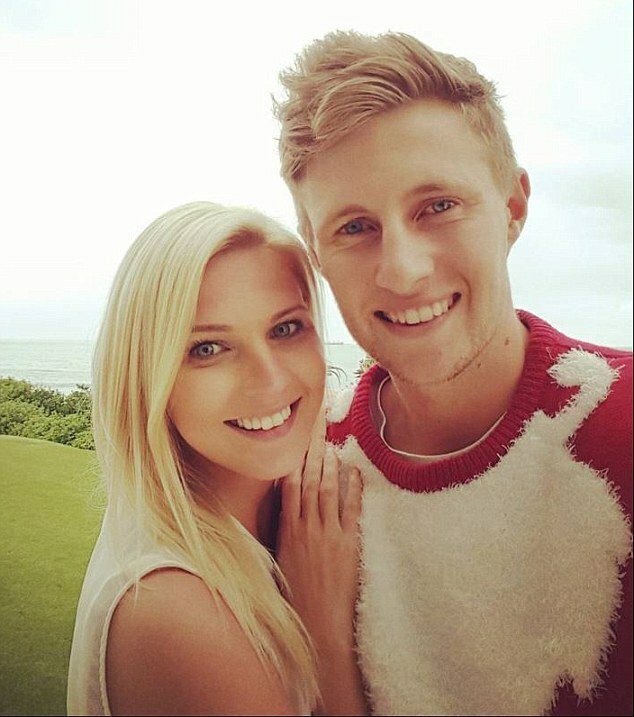 England cricket captain Joe Root has been hailed as a ‘gay icon’ after he batted away alleged homophobic abuse from a West Indian rival and told him: ‘There is nothing wrong with being gay’. 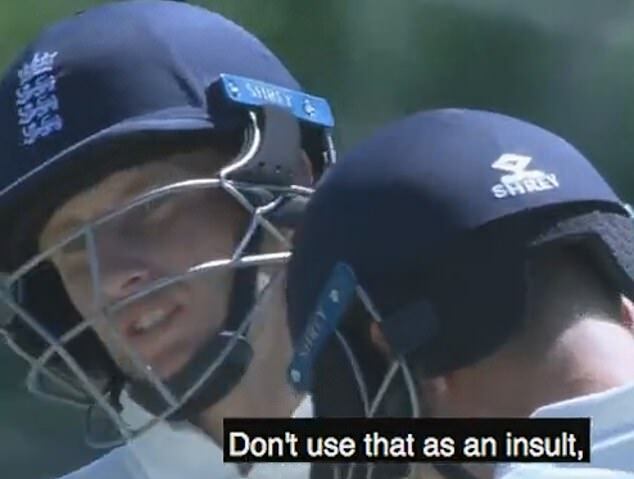 Video of the incident has been shared thousands of times on social media overnight and Root’s decision to challenge him has been widely praised, especially by LGBT campaigners. 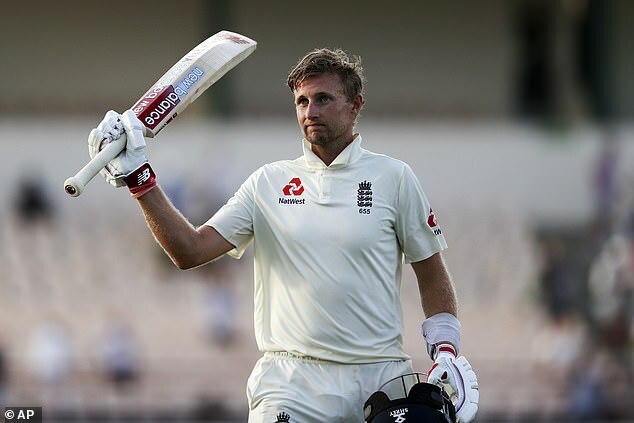 And now the International Cricket Council has charged Gabriel with a breach of its code of conduct – a England wrap up a comprehensive 232-run victory in the third test. Fan Mike Newman tweeted: ‘Well done @root66. Hopefully your words will be shown throughout the world and will act as great inspiration to all gay people’. 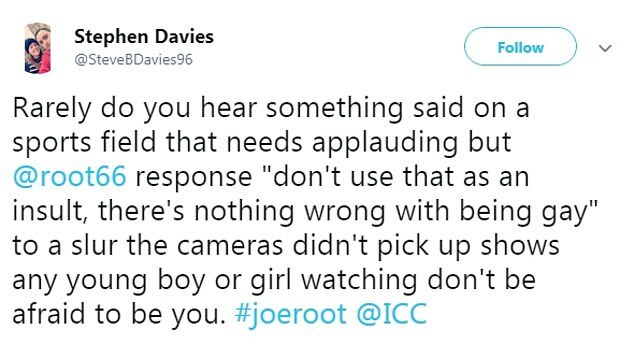 And Stephen Davies said: ‘Rarely do you hear something said on a sports field that needs applauding but @root66 response ‘don’t use that as an insult, there’s nothing wrong with being gay’ to a slur the cameras didn’t pick up shows any young boy or girl watching don’t be afraid to be you’. 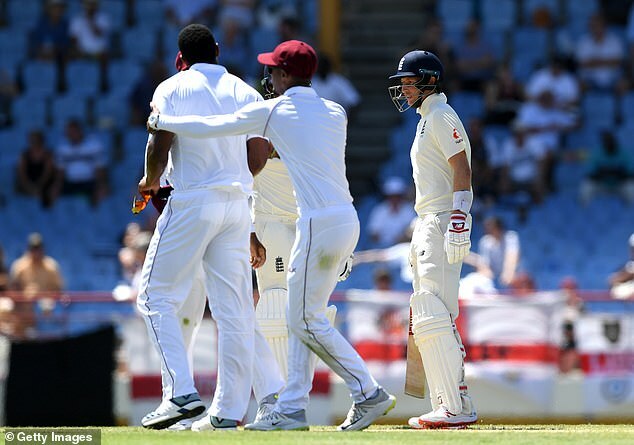 Tensions boiled over in the final Test of the Wisden Trophy but umpires Rod Tucker and Kumar Dharmasena did not lay a charge against West Indies fast bowler Gabriel for his sledging, believing their on-field intervention was sufficient. The International Cricket Council has since charged Gabriel with a breach of its code of conduct. 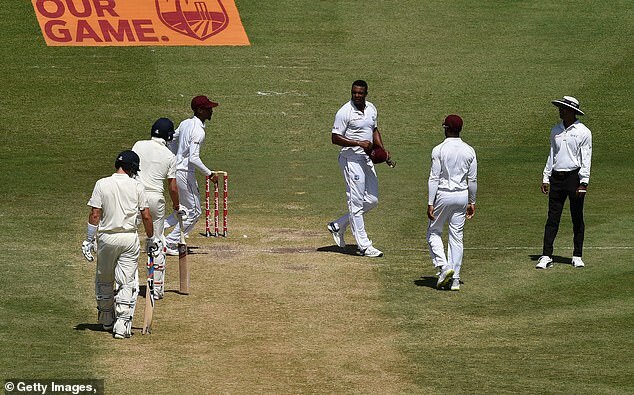 It comes as England wrapped up a comprehensive 232-run victory in the third test in St Lucia today. 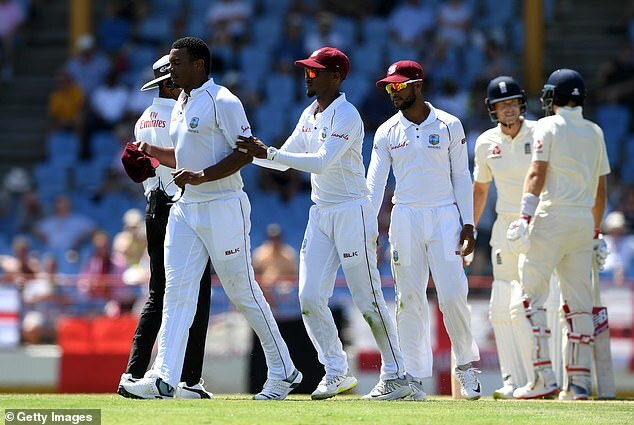 Number five batsman Roston Chase scored an unbeaten 102 for his fifth test ton, after England pace bowler James Anderson ripped through the home side’s top order with three quick wickets. Who is the Shoreham Airshow crash pilot Andrew Hill?